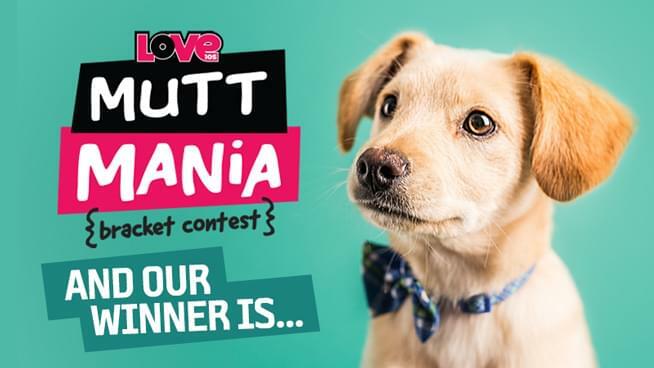 Just for being named ‘Top Dog’, Buttons won James our Mutt Mania Grand Prize: four suite tickets to see Hugh Jackman at Xcel Energy Center on Saturday, June 22nd, plus one $100 gift card to Crave American Kitchen & Sushi! Our Top Dog runner-up is Leonard! His human, Kelsey O. of South St. Paul wins our 2nd place prize of two suite tickets to see Hugh Jackman. Congratulations to Jennifer C. of Plymouth who was drawn as the winner of a $100 gift card to Crave American Kitchen & Sushi just for registering to vote! Thank you to everyone who entered their dogs into this year’s Mutt Mania! The Top 64 Dogs were revealed and voting began on March 21st. Voting ended on Monday, April 8th! How It Worked: The dog with the most votes in each match-up moved on to the next round and one step closer to being named our ‘Top Dog’ of 2019! There’s also a prize for you, the voters! Everyone who registered to vote throughout the contest was automatically entered in a drawing to win a $100 gift card to Crave! TOP DOG revealed on Monday, April 8 at 10am! The owner of the runner-up will receive two (2) suite tickets to see Hugh Jackman at Xcel Energy Center on Saturday, June 22nd! The owner of the top dog will receive four (4) suite tickets to see Hugh Jackman at Xcel Energy Center on Saturday, June 22nd, plus one (1) $100 gift card to Crave American Kitchen & Sushi! YOU COULD WIN A PRIZE JUST FOR VOTING! Just for registering to vote at any time during the Mutt Mania voting period (March 21 – April 8), you will be automatically be entered in a drawing to win a $100 gift card to Crave American Kitchen & Sushi!